A Diamond Select Release! This kar is a klassic! 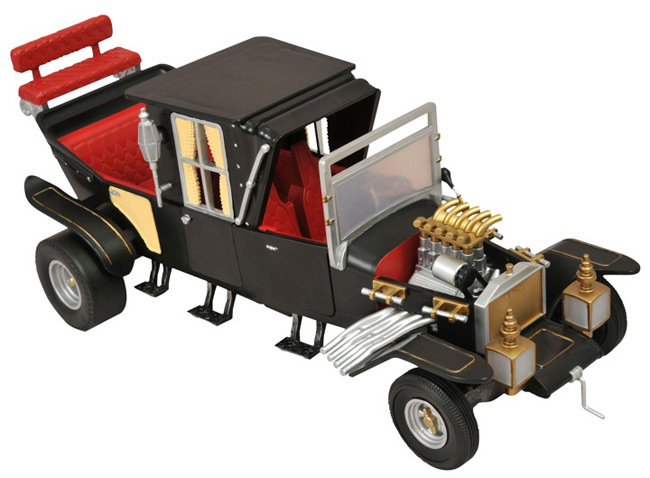 Fans of '60s television rejoice, because this 1/15 scale replica of the family Koach from the popular TV show The Munsters measures 14 inches long and features working lights and sounds from the show, including a revving engine and squealing tires! 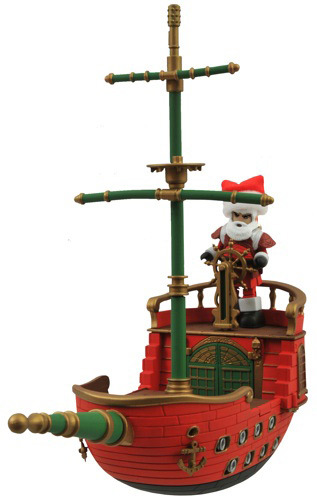 With fully detailed moving parts, you'll find yourself humming the theme song every time you look at it. A Diamond Select Release! Designed and Sculpted by Jean St. Jean! You've collected them in color, now we've collected them in black-and-white! 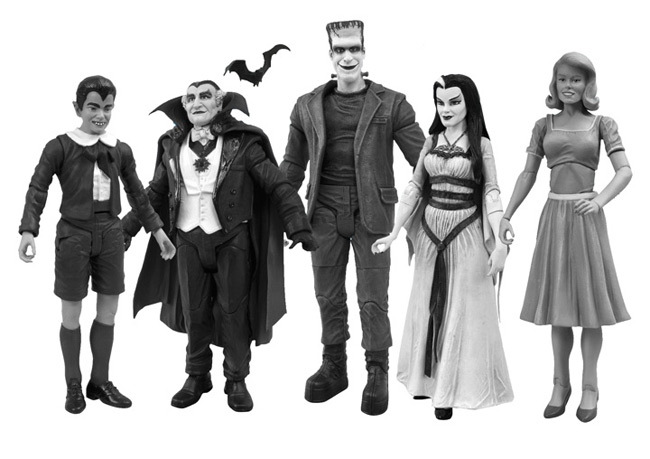 This deluxe collectors' box set presents the entire Munsters clan -- Herman, Lily, Grandpa, Marilyn and Eddie -- as they looked in their original black and-white TV appearances on The Munsters! These 7-inch scale figures come with floorboard bases in a display-quality window box, and the black-and-white Eddie and Marilyn will only be available as part of this exclusive set! A Diamond Select Release! Designed and Sculpted by Art Asylum! The newest, hottest fighting game is now a cool new line of toys! This all-new assortment features the superstars of the Street Fighter and Tekken franchises, paired up and ready to fight! 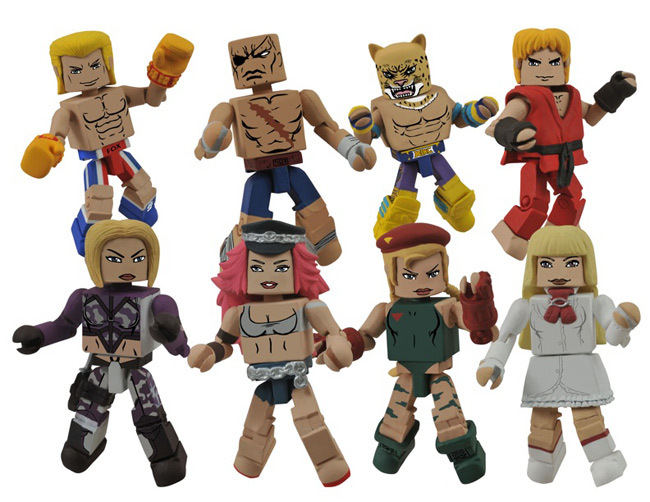 Series 1 includes Ken vs. Steve, Sagat vs. King, and two sets exclusive to specialty stores: Cammy vs. Nina and Poison vs. Lili! Each Minimate stands 2 inches tall with 14 points of articulation and a variety of removable and interchangeable parts and accessories. A Diamond Select Release! Unlike the characters in Robert Kirkman's ongoing comic series The Walking Dead, our future isn't threatened by a zombie apocalypse. So why don't you start saving for it? 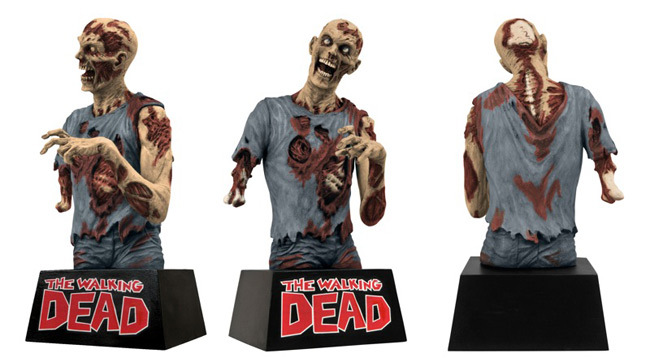 Put aside money for your zombie-proof dream house in this 8-inch vinyl bank depicting a lurker (or is it a roamer?) from the Walking Dead comic book, via the change slot in his back. Perched atop the book's now-famous logo, this gruesome character will keep any weak-stomached burglars from plundering your nest egg. A Diamond Select Release! Designed and Sculpted by Art Asylum! It's time to form a symbiotic relationship with your local comic shop! Why? Because that's the only place you can get the this box set of Marvel Minimates focusing on the symbiote-wearing anti-hero known as Venom. This Previews-exclusive 4-pack includes Classic Venom, She-Venom, Transformation Venom and Flash Thompson as Venom. Each Minimate stands 2" tall with 14 points of articulation and a variety of removable and interchangeable parts and accessories. A Diamond Select Release! DST's continuing mission: to bring you cool new electronic Star Trek ships! 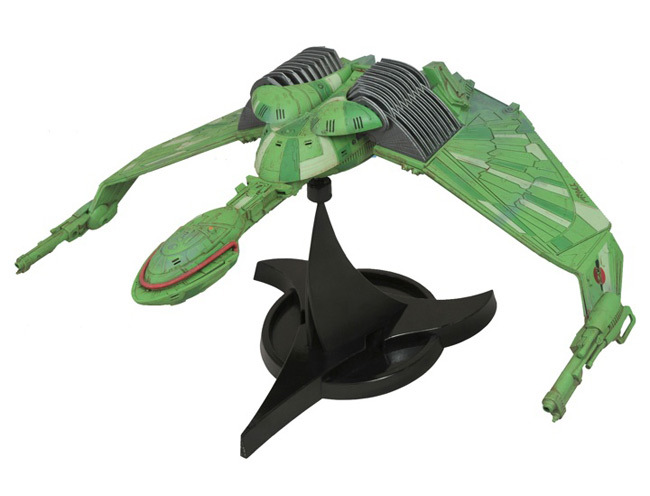 The Klingon Bird of Prey, as seen in multiple feature films, is their first non-Enterprise ship in the line, and will be the must-have item to complete any Trek fan's fleet! Packaged in a "Try Me" window box so customers can test its movie-accurate lights and sounds, the Bird of Prey measures 12.5 inches long by 19 inches wide and comes with a display stand. A Diamond Select Release! Slap an inhibitor collar on your savings with the latest vinyl Star Wars bank from DST! 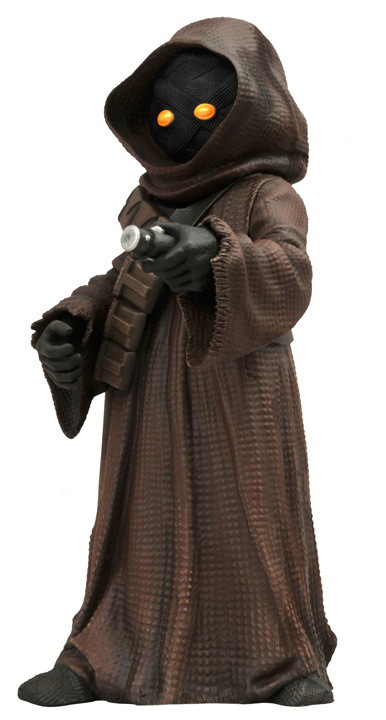 Depicting one of the scavenging droid dealers from Star Wars Episode IV: A New Hope, this 9-inch vinyl bank has a coin slot on the bank for depositing credits, and is in perfect scale with DST's recent R2-D2 bank, as well as past Ultimate Quarter Scale action figures. A Diamond Select Release! 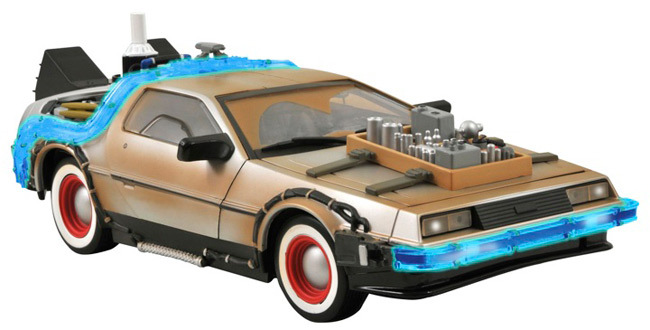 Travel back in time in this 1/15th scale replica of the DeLorean time machine from Back to the Future III! Measuring 14 inches long and featuring working lights and sound effects from the classic film franchise, this landmark release packs in plenty of details, from the hood-mounted time-travel circuitry to the rolling 1955 whitewalls. Comes in try-me packaging. A Diamond Select Release! Designed and Sculpted by Art Asylum! The Expendables are back! Sylvester Stallone's all-star line-up of black-ops bikers will return this summer in Expendables 2, and DST is bringing you more of your favorite Expendables, as well as all-new characters from the new film! 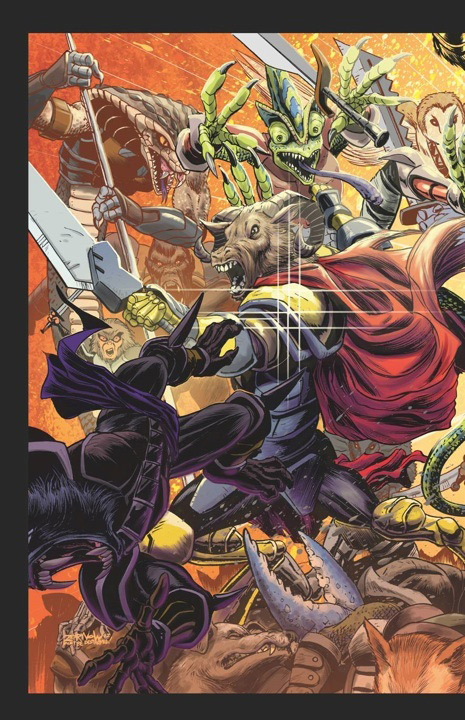 Yin Yang, Gunnar Jensen, Toll Road and Jean Vilain will come in a single four-pack, packed on a full-color blister card. Each Minimate stands 2 inches tall with 14 points of articulation and a variety of removable and interchangeable parts and accessories. The figures in this box set will only be available in comic shops and specialty stores, so don't miss out! A Diamond Select Release! Designed and sculpted by Gentle Giant! The Hulk. The Thing. The Abomination. The Juggernaut. 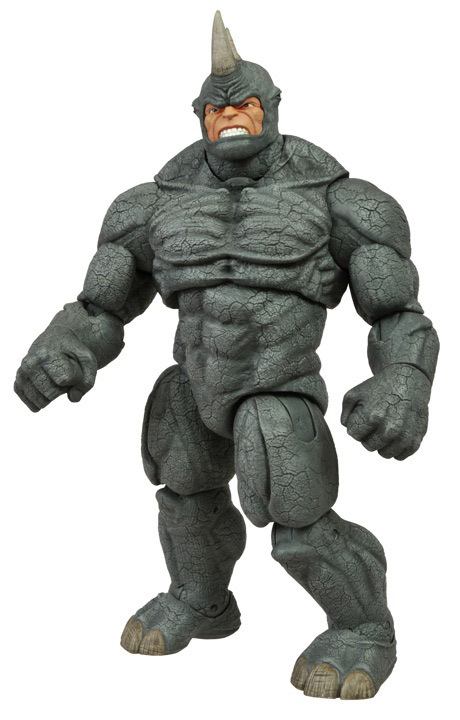 DST's oversized Marvel Select action figures have been dazzling collectors for years, and now they're ready to do it again... with the Rhino! The leather-skinned Spider-Man foe stands over 8 inches tall with 16 points of articulation, and is ready to tear through your Marvel toy collection like tissue paper. Comes ready to display in oversized collector packaging. The Beasts have landed on Earth, destroying everything in their path. Bliss Reynolds knows why, but she is being hunted for her secret knowledge by dozens of bloodthirsty Beasts! Three noble Beasts have endeavored to protect Bliss, but they won't be enough to protect her from the hordes that are on their tail. The only option? Run! It's a scramble for survival in a war zone called San Francisco! 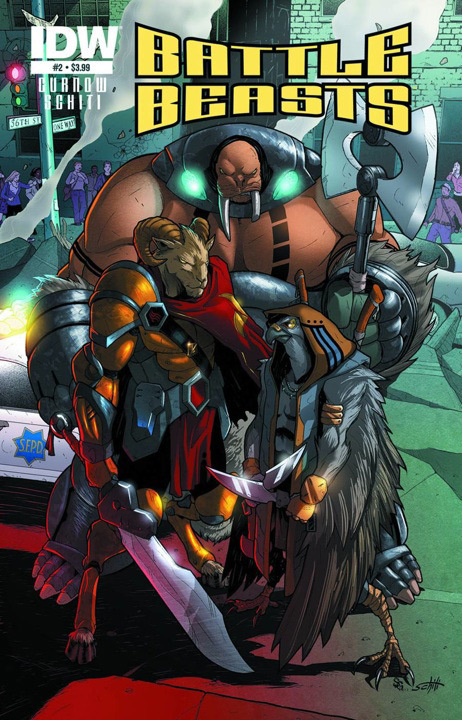 Written by Bobby Curnow with art and cover by Valerio Schiti. Retailers who order ten copies get a free variant cover by Jeff Zornow, the first in a three-part triptych! Pre-order today at your favorite comic shop or online retailer! 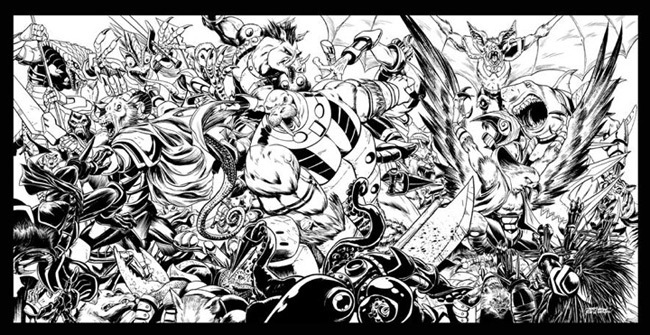 Visit comicshoplocator.com to find the nearest comic shop, and get regular DST updates on Facebook and Twitter!